Elder Scrolls Online Homestead is live for PC and MAC in February, ESO Homestead is our player housing system, it is amazingly fun to crafting, designing, building, and adding new items and homes for your house. But we ESOGOLDSTORE.COM share the latest ESO Guide: how to farming ESO Gold fast and easy in Elder Scrolls Online? 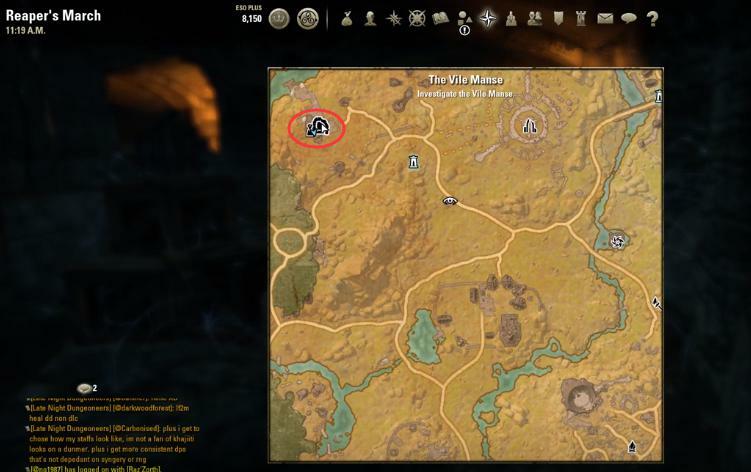 Using this way you can works everywhere, even outside of dungeons and make eso gold 50-80K per hour you can! Here we take The Vile Manse dungeon as an example. Place: The Vile Manse, in the upper left corner of Reaper’s March. Mainly to kill monsters to get gold in Reaper’s March map, so our build is mainly AOE skill. Main output skills is Steel Tornado, with Deadly Cloak skill increased 70% AOE damage, it is perfect! As well with Critical Surge (increase weapon damage), Flawless Dawnbreaker (increase weapon damage), Bound Armaments (increase endurance and heavy hit damage) and Expert Hunter (improve your Physical crit value), your physical properties will reach a maximum, can second-kill a group monsters with a Posion Injection and 3 Steel Tornado skill. Killing a monster you can get 120 gold and a small boss is 305 gold, so we calculate the average value of a monster is 150 gold. Kill a group of monsters need 3 seconds, a group monsters is 7 monsters. And you need 2 seconds to remove another group of monsters from the first group of monsters. So, how much ESO Gold you can earn in an hour? Of course, we do not count the price of equipment, if we count the price of equipment and minus the price of our consumption of physical medicine, then it is very easy to get 80K ESO Gold an hour!